MOTOVATED SELLER..This GORGEOUS popular Neal Floorplan the "Aqua Breeze" is situated on one of the LARGEST most coveted PREMIUM Lakefront PRESERVE LOTS in the community! This 2,300sf immaculate home is bright and airy with 3 Beds/2 Baths, office/den, open floorplan home in the beautiful, tranquil community of Rivers Reach. Kitchen is light & bright w/ white cabinets, granite counters, breakfast bar, and open to your family room, perfect for entertaining. Enjoy the views from the family room which overlooks a peaceful lake & retire for the evening on your large screened private lanai enjoying the wildlife & bird sanctuary to entertain you. This one story home offers tons of space & is Move-In-Ready! Other features include a large open entry/floorplan, beautiful wood & tile floors, crown molding, central vacuum system, ultra violet air handler, oversized private lot on cul-de-sac with a large 3 car side garage. Master retreat is spacious & bright with walk-in shower, duel sinks, & walk-in closets. The other two bedrooms are on the other side of the house, which offers nice privacy. 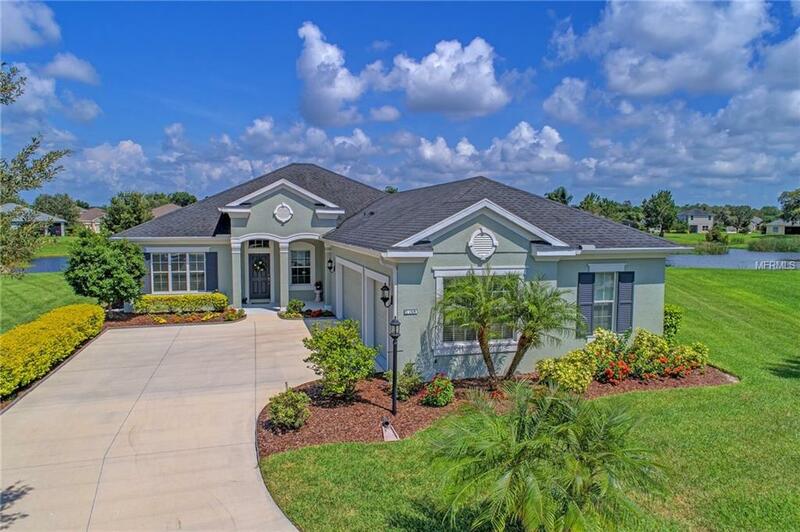 Rivers Reach is a gated community offering many amenities including a community pool/spa, fitness center, playground, beautiful lakes w/ lush landscaping and gorgeous green spaces to walk & bike, as well as a canoe and kayak launch into the Manatee River. Minutes from I-75 with access to Tampa, & Sarasota/Bradenton where you can enjoy shopping, gourmet restaurants, sporting events and our gulf beaches...Live the Florida Paradise!